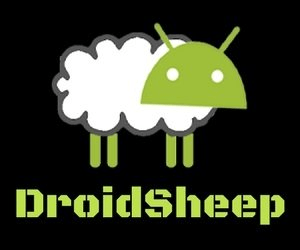 DroidSheep Apk is one of the well-known software that has been all the more designed as for purpose of being developed as a security app. This software is meant for the purpose of testing the medium of the security of online accounts and it was based on his Bachelor thesis titled “Session Hijacking on Android Devices”. It is defined as the android application whose main purpose is all about as it analyzes security in wireless networks and also captures Twitter, Linked, Facebook, and other accounts. You can install DroidSheep straight away on the Android phone. You can make the use of it as to analyze the security of any public network. This is quite an interesting application software to use it right now because of its advanced set of features. You can easily download this app on any Android device having Android version of 2.3 or above with a minimum internal storage of 50 MBs or above. By using this software you would be able to easily and quickly analyze the security of any public network. You can also take your friend to the way of a public network and allow him to access his Facebook account through the same network. DroidSheep Apk will also be giving you the freedom as to access on with to browse on your friend’s Facebook account using his identity. You will be able to read the user private messages, write wall posts, as well as write messages, remove his friends and even delete his Facebook account without getting in touch with him. This software will be letting you read away with the data sent by your friend.